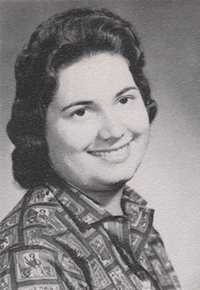 Obituary – Beier, Frances Gayle (Kukuk) « Perry High School Alumni Association, Inc.
﻿Band ’58-’60; Student Council ’58-’59; Office Staff ’59-’60; Annual Staff ’58-’59; F.T.A. ’59-’61; Annual Assistant Business Manager ’58-’59; Annual Business Manager ’59-’60; All School Revue ’58-’59: English Assembly ’59-’60. 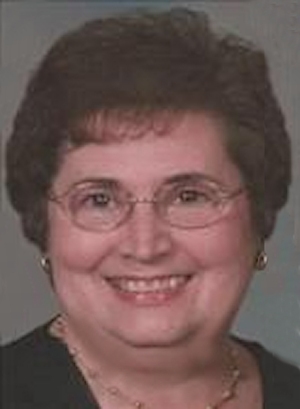 Frances Gayle (Kukuk) Beier , 70, passed away on Tuesday, October 15, 2013 at her residence in Perry, Oklahoma. The arrangements have been entrusted in care of Palmer Marler Funeral Home of Perry in Perry, Oklahoma. Funeral service will be held on Saturday, October 19, 2013 at 2:00 p.m. at the Christ Lutheran Church located at 1301 North 7th, Perry, Oklahoma with Rev. William Metz and Rev. Barrie Henke, officiating . Interment will follow at the Grace Hill Cemetery in Perry, Oklahoma. Public visitation will be on Friday, October 18, 2013 from 9 am to 8 pm. at Palmer Marler Funeral Home of Perry. Frances was born on March 3, 1943 to Carl F. and Vera M. (Shelton) Kukuk in Perry, Oklahoma. She attended Christ Lutheran School through 6th grade and Perry public school through the 12th grade. She married Lawrence L. Beier on August 11, 1960 at the Christ Lutheran Church by Pastor Victor Scholtz. They celebrated 53 years together before her passing. She remained a member there throughout her life. They had three children, Bob, Randy, and Carla Beier. She worked for Virginia Hamann at the Perry Tag Office. Lawrence and Fran ran Beier’s Conoco at the Southwest Corner of the Square in Perry for 13 years. She went to work for the Noble County Assessor and Noble County Treasurer for a few years. She loved her family and friends. Attending her grand children’s events was something she loved to do. Also working in the yard with her beautiful flowers, playing cards, and fishing were some of her favorite activities. Fran is survived by her husband, Lawrence of the home; two sons, Bob Beier and his wife Sandra, Randy Beier and his friend Jayme; one daughter, Carla Wells and her husband, Gerry all from Perry, Oklahoma; seven grandchildren, Shelby Foster and her husband, J.D. of Stillwater, Oklahoma, Melissa Colasacco and her husband, Tony of Edmond, Oklahoma, Travis Beier, Lyndee Wells, Lexi Beier, Courtney Wells, Ethan Van Brunt, all of Perry, Oklahoma; three great grand children; Jaxon and Emily Foster, Sophie Colasacco, one special friend, Sue Klingaman; and a special niece Connie Mendenhall. She is preceded in death by her parents, Carl and Vera Kukuk; and one sister, Linda Lee Kukuk. Memorial contributions can be made to Christ Lutheran Church Memorial Funds or Judith Karmen Hospice , both in care of Palmer Marler Funeral Home of Perry, 203 Fir Street, Perry, OK 73077.